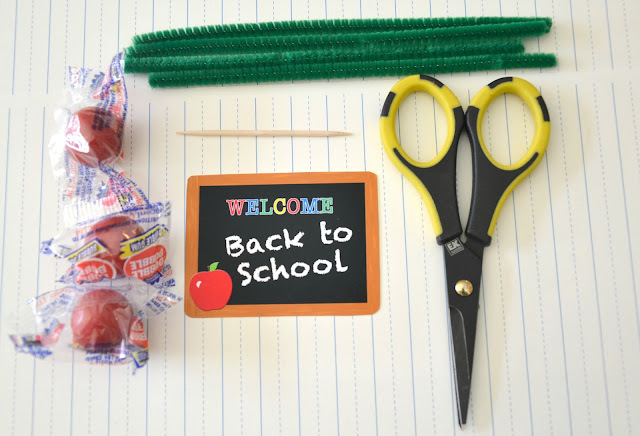 Today, Cris McGrath from Crissy's Crafts is here to show us more adorable projects from her photo shoot using the new Back To School FREEBIE Printables set. Be sure to see the FREE PRINTABLES HERE and Cris' DIY Crayon Cupcake Holder Project here. I always have so much fun coming up with unique ideas for party snacks and sweets! I often find myself in the candy aisle of Walmart just browsing the candies and coming up with cute ways to serve them at our parties. 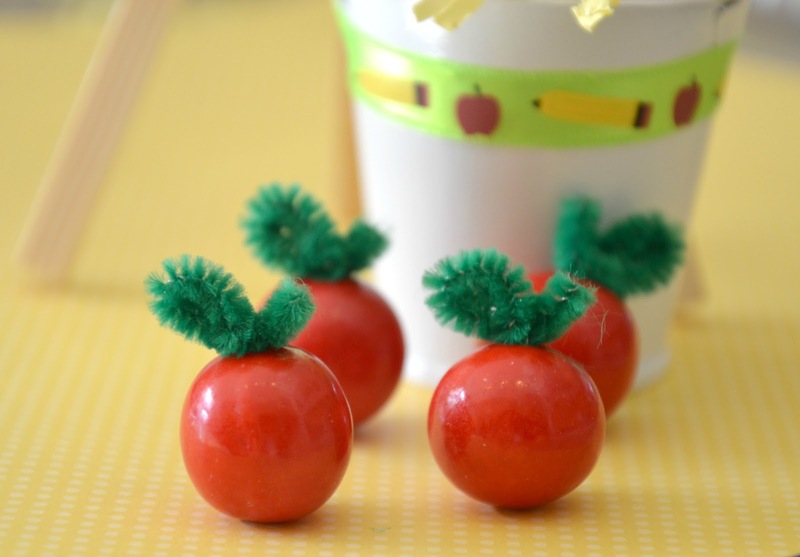 This time I used red gumballs and turn them into cute apples! It was a hit at our BACK TO SCHOOL party! Using a toothpick, make a small hole into the gum ball, insert the green pipe cleaner and shape it like a leaf and stem. You can also use green Air Heads candy for the leaf. 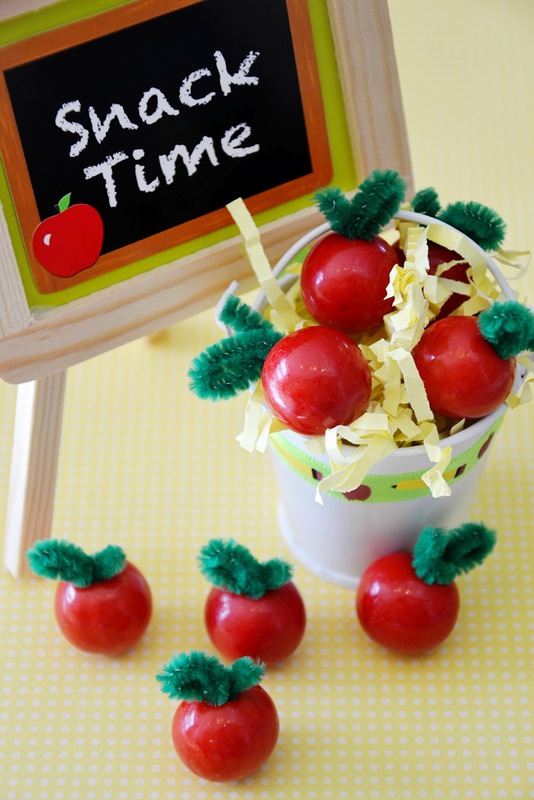 Another cute way to display your sweets! Using a paint pallet you can display mini M&M's just like "real" paint! 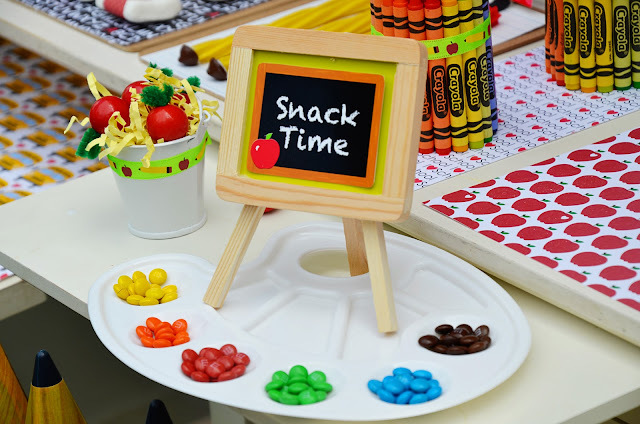 I added the cute easel from Michaels and added the snack time icon from the FREE Back to School printable. 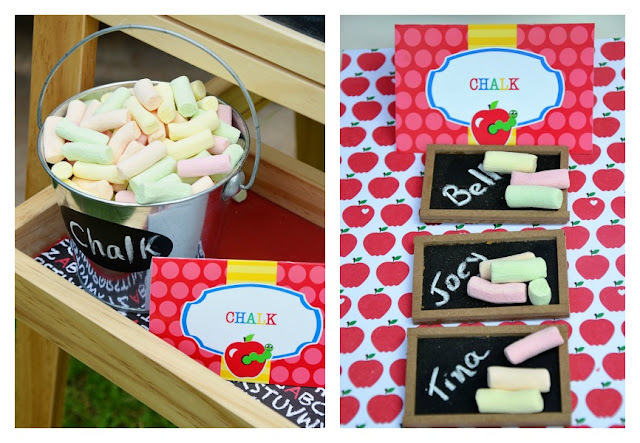 How about some edible chalk? How fun are these marshmallow confetti? It looks just like chalk! I found the metal pail at Target dollar bin and the chalk at Walmart. I also found the small chalk place cards at Michael's and just new that would look so cute to display the marshmallow confetti! Absolutely adorable! Your gum balls are brilliant!